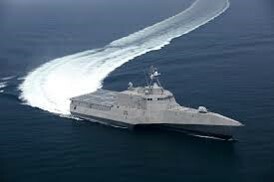 The Littoral Combat Ship is a fast craft designed to operate in hostile near-shore environments, yet is capable of open-ocean operations. 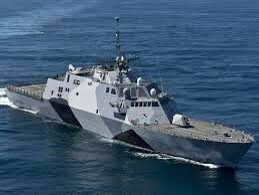 LCS consists of two hull forms – Freedom Variant (left) and Independence Variant (right). Both have reconfigurable payloads for interchangeable mission packages.